Last edited by Kamer on Sun Dec 02, 2018 8:23 pm, edited 1 time in total. Darn, we may have some overlapping in my Perpetual Quests then if you're adding them everywhere We'll have to see how much they coincide. Keep steaming ahead and I'll adapt my plans, don't wait for me. 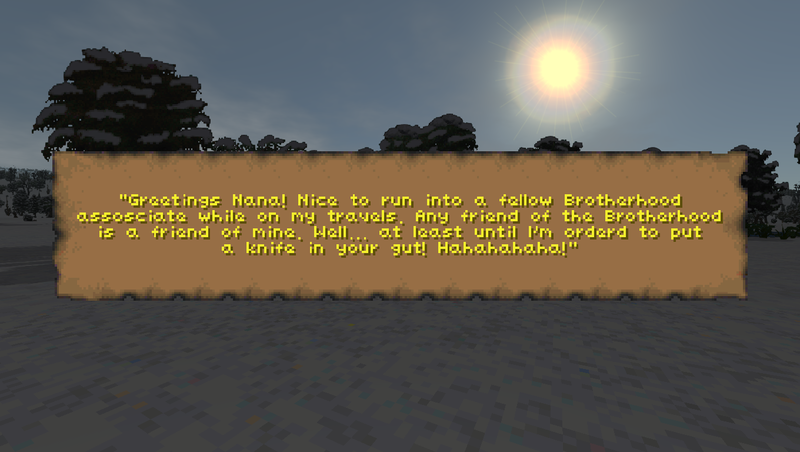 I love your mod. Trust me, I really wouldn't want them to overlap and not be compatible. I'll keep an extra eye out. Last edited by Kamer on Tue Dec 04, 2018 9:07 am, edited 1 time in total. The events are randomized, spiders must really hate you my man. Bad luck! And what a horrifying bad luck to have! To give an update on how things are, I have the Ruins dungeon type exteriors basically done and work and ready for more variables if I want. 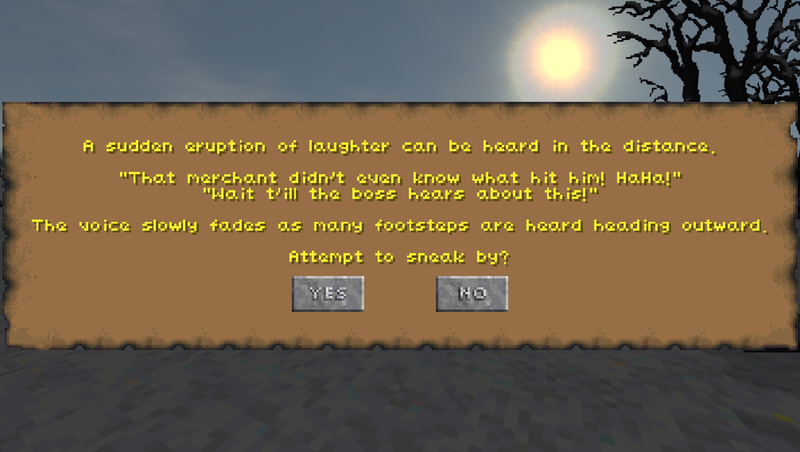 At the moment I am working on random encounters in the Wilderness. I don't want them to be too eventful for the most part as I'd like destinations to be where bigger events take place. It's more of a immersion setter for me. -Every hour a random event could occur though with how often it checks, it should be a very low chance of an encounter. -A player with good reputations with certain factions (or a player with good language skills EXAMPLE: Orcish) can help them make friends with enemies and avoid dangerous encounters. Player with a good streetwise skill talks a Highwayman out of robbery. 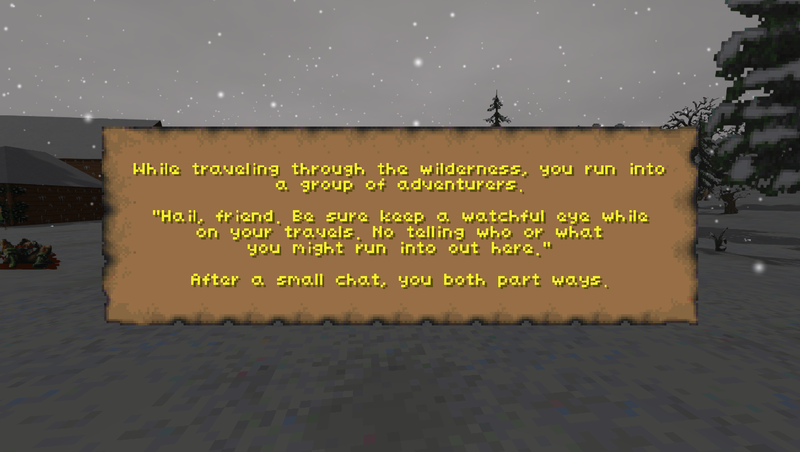 Player runs into a group of travelers while out in the wilderness. 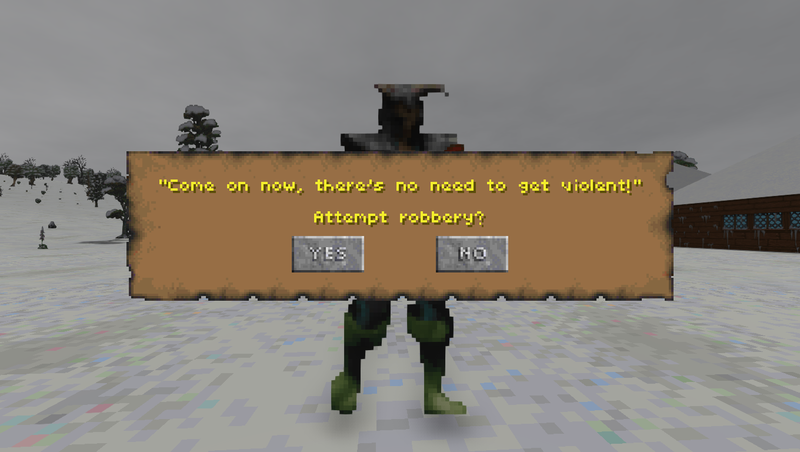 Player attempts to rob a traveler. 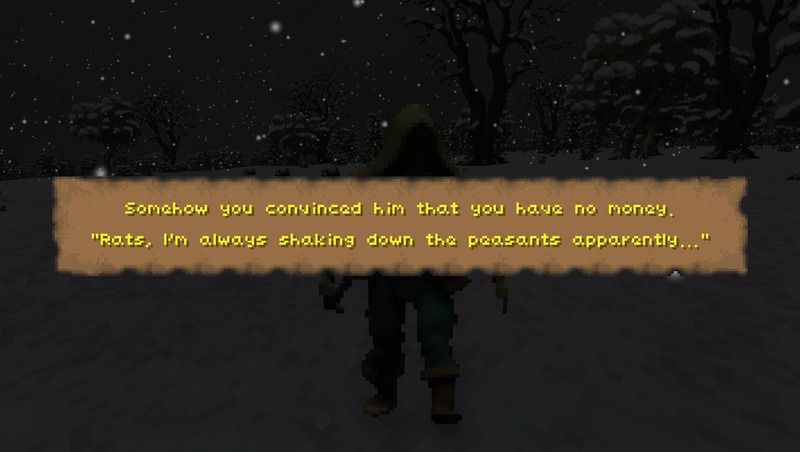 Player runs into a Dark Brotherhood member, but has a good reputation with the guild. Player passes the stealth skill check and can attempt to sneak into some ruins. Nice, love to see it reacting to player character like that! Im very happy to see a progress on this mod, love it! This is far better than what I had planned Great-looking stuff! Hmm... Could add ambush and counter-ambush by PC and NPCs? Really cool mod.